HAVING signalled their intention to contest the Elitloppet several weeks ago, connections of top mare Maori Time have accepted an invitation to the world famous event. Officials extended the invite last Tuesday, with trainer Brent Lilley stating the answer was obvious! The daughter of Pegasus Spur will be the first Australian-trained squaregaiter to head to Europe since Sundons Gift ran sixth in his heat in 2009. Given she is in her last season of racing, the Elitloppet will also double as Maori Time’s farewell appearance. “There was no hesitation in accepting the invite,” Lilley said. “The opportunity to have her race on a world stage like that was too good to pass up. The multiple Group One winner is scheduled to leave Australia on May 9 in preparation for the feature on May 26 and 27. 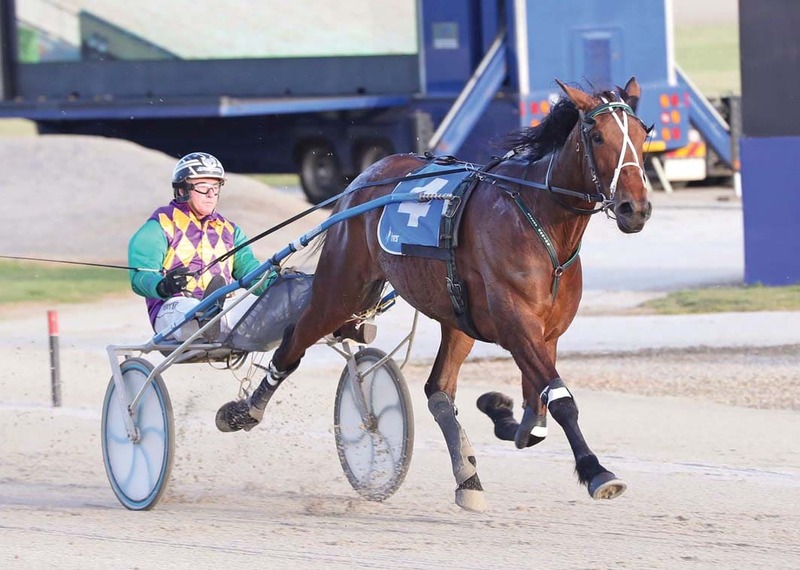 Last February Maori Time established an Australasian record 1:51.5 in the Trotters’ Mile at Tabcorp Park Menangle, a time Lilley is positive the eight-year-old can better given the right conditions. “She ran a great time at Menangle, but Bold Eagle for example, went a second quicker a few weeks ago,” Lilley said. “I have no doubt she is capable of lowering her own mark. “We’re not heading over saying she is going to win, but I’m sure she can prove competitive. Harness Racing Australia chief executive Andrew Kelly described the northern hemisphere campaign as a major win for ‘Down Under’ trotting stock. “It is a terrific feather in the cap for all to have a horse considered good enough to make that trip,” Kelly said. “This is not a small adventure to be undertaken by connections and by Maori Time. “It’s important not only to be sharing our racing product to Europe, but that people realise the bloodstock talent that exists in Australia and that Europeans may want to invest in Australia as well.